In yet another example of how the health IT industry is moving to create one-stop-shops for technology services, PointClickCare Technologies, provider of cloud-based software for the long-term, post-acute care and senior living industries, announced today it has acquired QuickMAR, a medication management tool for the LTPAC market. 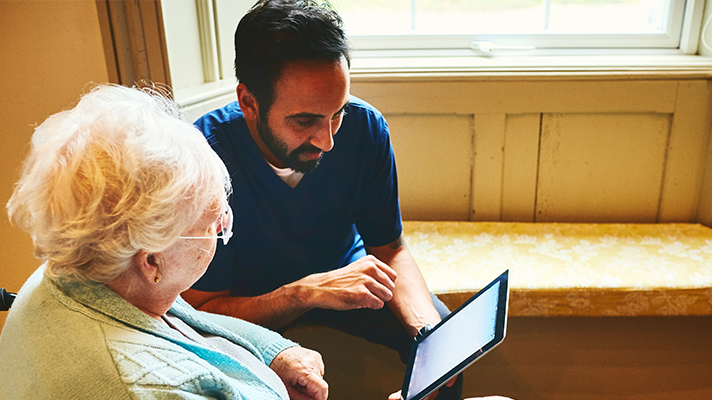 “The objective of the acquisition is to provide senior living providers and pharmacies broader choice and flexibility through one technology vendor for their eMAR and EHR needs,” according to Andy Brigant, vice president of pharmacy sales and program management for PointClickCare. “PointClickCare’s acquisition of QuickMAR will give the company’s customers and partner pharmacies the flexibility to choose how they want to approach their resident care strategies, while working with a single technology vendor,” said Brigant. Both PointClickCare and QuickMAR enjoy established market positions, according to Brigant. QuickMAR serves approximately 600 pharmacy customers from 3,700 senior living communities. “Combined we will now serve approximately 10,000 senior living providers that care for 67 percent of all residents in assisted living facilities,” he added. QuickMAR will continue to operate as a separate entity for the foreseeable future, including its platform, according to Brigant. eMAR is a server-based electronic medication administration system designed for use in institutional pharmacies, assisted living, long-term care, and rehab facilities. The software automates the process of distributing, tracking, and re-ordering medications and treatments safely. PointClickCare and QuickMAR will approach the market in different ways and have complementary approaches to their service model, Brigant says. Providers and pharmacies will have the opportunity to choose the platform and service model that best fits their needs. As we’ve show in other case studies, integrating medication management with EHRs can have big benefits for providers. That’s the goal for PointClickCare, which has recently been working to innovate its offerings to the LTPAC space, through initiatives such as a self-service developer program that offers APIs to encourage creation of new tools and apps for a space that’s still often underserved by technology. “The acquisition of QuickMAR expands and strengthens our health and wellness portfolio, provides our customers with more flexibility and choice in medication management solutions, and enables us to service a more diverse set of senior living communities,” said Mike Wessinger, chief executive officer, PointClickCare.